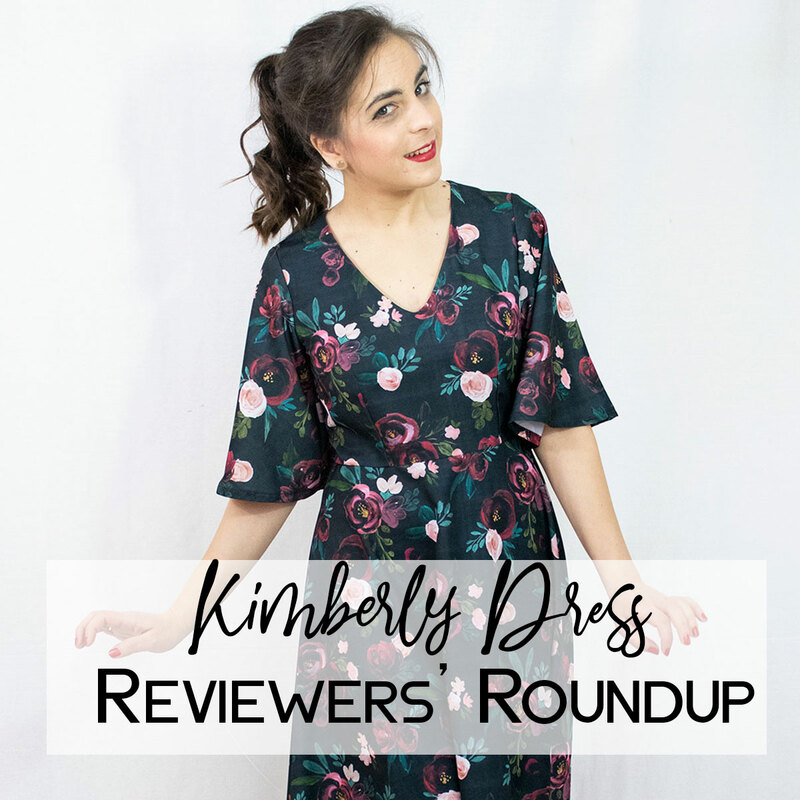 The Kimberly dress was the pattern I selected for my December’s Reviewers Group. 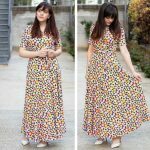 I thought it would be the perfect dress to sew for the holidays and I’m so glad I was right 🙂 Their versions blew my mind and today I’m here to share with you what they’ve been making. So, without any further ado, let’s move on to the makes and reviews! 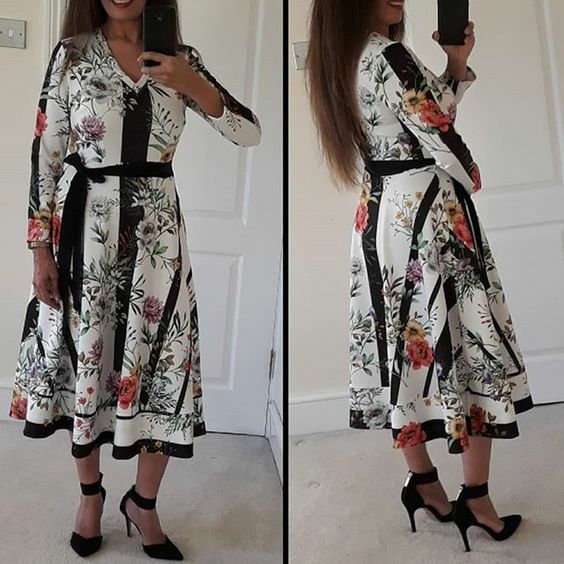 The first Kimberly dress belongs to Whitney. 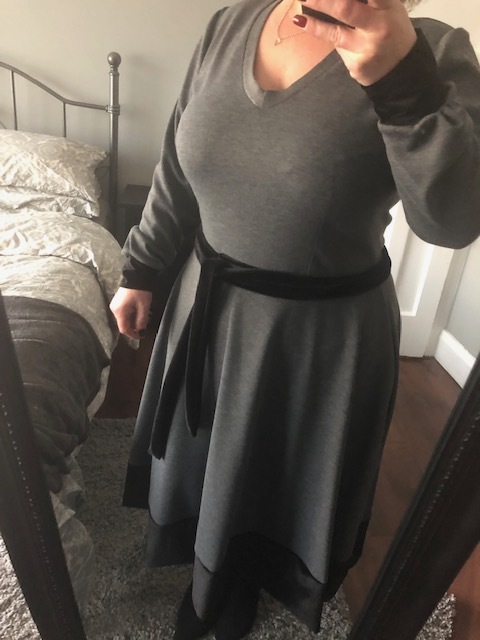 She opted to make it sleeveless, so she could layer it with a cardigan, using a hot pink fabric. You can find her full pattern review HERE. 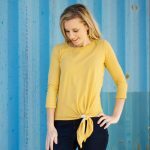 My first time ever adding a v-neck neckband was a success thanks to @mellysews for her excellent tutorial. 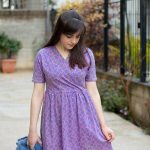 ” I was chuffed to bits to be a reviewer for Athina Kakou’s Kimberly Dress Pattern for the month of December as I had seen the pattern when it was released and knew it was a style I liked with a fitted bodice and fuller skirt. 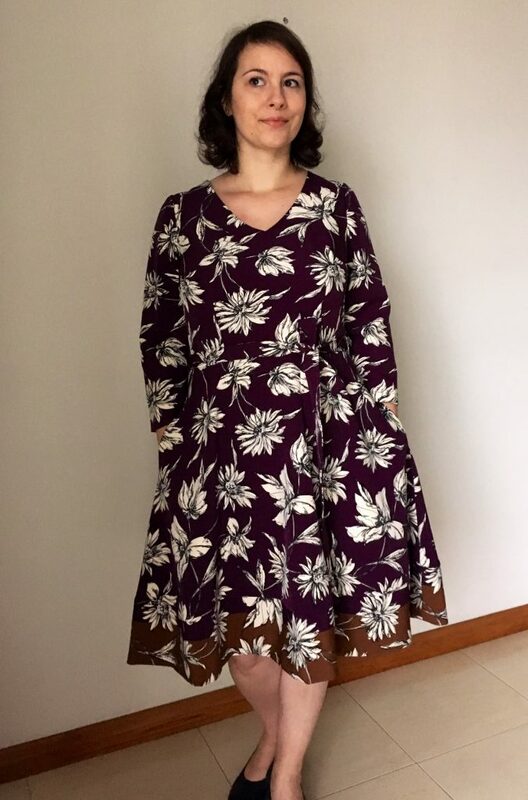 Isa used a very unique fabric to create a contrasting panel, which I love so so much! You can find her full pattern review HERE. 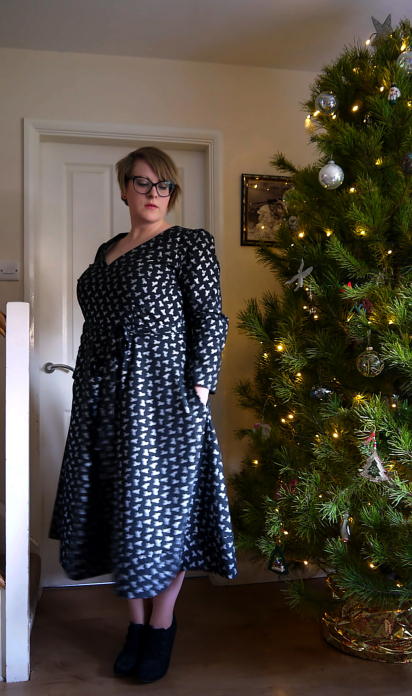 Last but not least, Sherelle has made her first ever memade dress for Christmas and when I read her blog post about this Kimberly dress I got all teared up! 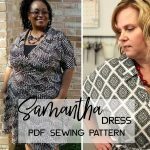 She loved the pattern and I may have converted her back to wearing dresses again 🙂 Read her full review HERE. Hope you enjoyed seeing their versions. 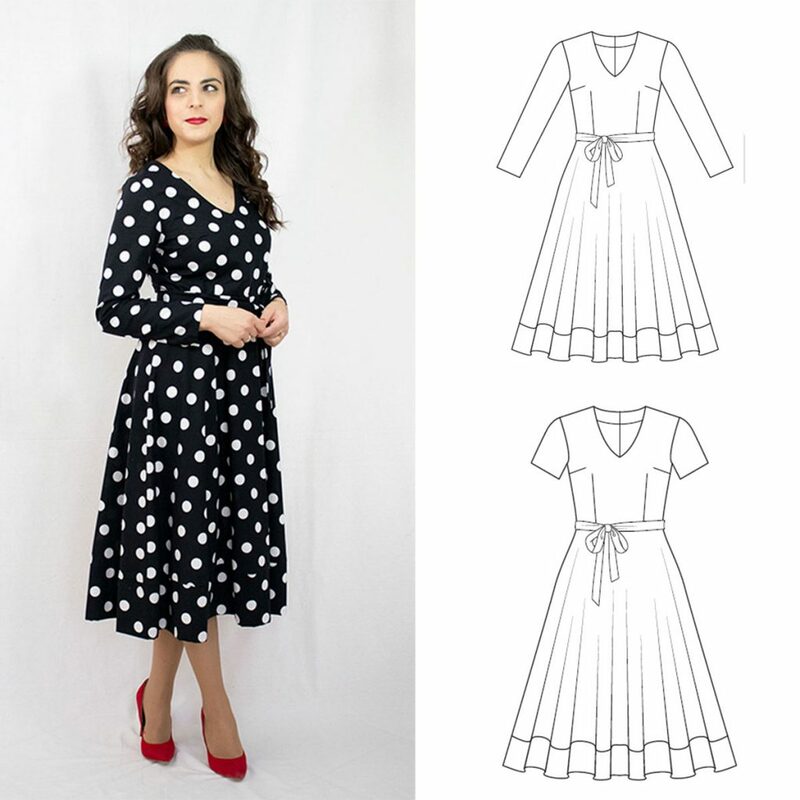 If you like the Kimberly dress, you can get the pattern from my shop HERE. 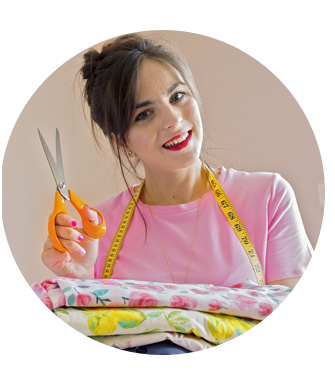 Until the next time, happy sewing!